Now this is what the pros really use. This Glove is not for someone on a budget, this is for someone who takes the game very seriously. The Warrior Covert QRL Senior Glove Is a top performance glove in every way. Here’s why this glove is awesome; It’s extremely light weight, it has this thing called Axyflex Cuff which is where the cuff comes out from the outer protective layer and provides the ultimate feel of freedom in your wrist, and also has this thing called Smart Palm which is the layer on the palm that has just the right amount of grip in holding the stick. Not too sticky and not too loose. That has been such an awesome feel for me ever since I’ve been using these gloves having that feel that’s just right while stick handeling and shooting. It also gave me a more professional feel on the ice period. The outer protection part is wrapped in leather and nylon that is very high quality as well. 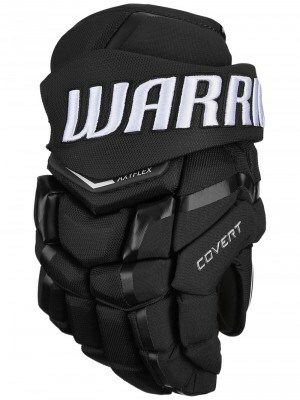 If you are looking into getting some serious gloves I would definitley check out the Warrior Covert QRL Glove’s!